In 2019 the opening day of the Aintree Grand National Meeting will follow the new look and feel we saw in 2018. Grand National Thursday is set to honour the local sporting talent that’s come out of Merseyside with a ‘Champions Lounge’. The three-day Aintree gets going each year on Thursday. Despite the crowds being nowhere near as big as Grand National Day, it’s still a hugely popular day on the jump racing calendar. The Aintree racecourse can still expect around 35,000 people to come through the turnstiles and outside the Cheltenham Festival, this is one of the most popular racing days for jump racing fans. The racing gets going on Merseyside at 1:45pm and with seven top-class races to enjoy the Thursday card always attracts runners from National Hunt yards from both the UK and Ireland. When is Grand National Thursday? The date of the Aintree Grand National Meeting can often vary and this is mainly due when Easter falls each year. In 2019 the three-day meeting is a bit later than last year. This means the gap between the Cheltenham Festival and the Aintree Grand National Meeting in 2019 is shorter than some previous years. 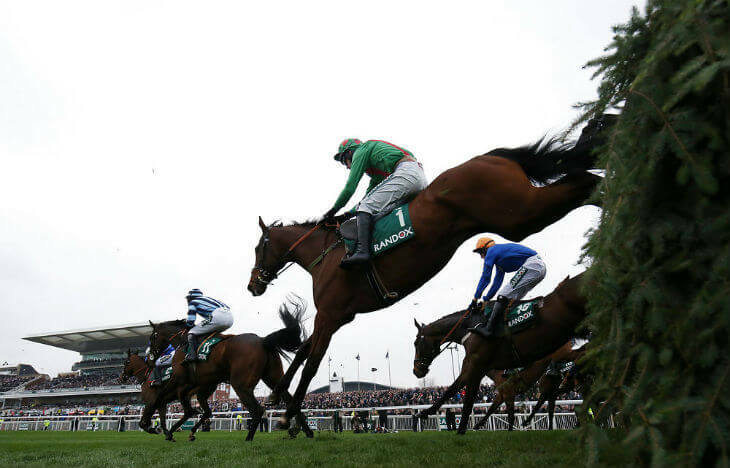 With the 2019 Cheltenham Festival finishing on Friday 15th March, and the opening day of the 2019 Aintree on the 4th April, there is 20 days between the two. This gives horses, that would have raced at Cheltenham, less time to recover, plus it also gives trainers more time to prepare their runners – meaning there’s a much better chance we’ll see the top horses running at both these big festivals in 2019. Why Go to Grand National Thursday? The event will open day one with a new name ‘A Day For Champions’ with the main attraction being a Champions Lounge where racegoers can chat with sporting heroes from both past and present. The lounge will be hosted by BBC Breakfast’s Dan Walker next to the Aintree parade ring. Q&A sessions with rumoured stars like Michael Owen, Kenny Dalglish, Graeme Sharp and Olympic gold medallist Sam Quek ready to mingle with the Aintree racegoers. Some say this is the BEST day on the UK Jump Racing calendar offering FOUR grade one races. A number of Merseyside sporting champions will be there for the new Opening Ceremony, and attending the new Champions Lounge. Aintree will also use this day to collaborate with the RAF for their centenary celebrations.